Celebrating its sixth year as Canada’s largest search to find the future stars of the culinary scene, the Hawksworth Young Chef Scholarship 2018 competition is officially open for applications. Established in 2013, the Foundation will continue its work to encourage aspiring, young chefs from across Canada by giving them the chance to showcase their cooking skills in front of a panel of the country’s most esteemed chefs and critics. The competition winner will take home the grand prize of $10,000 and a placement at one of the top restaurant’s in the world. Once again, regional heats will be held across the country through May in Toronto, Montreal, Calgary and Vancouver. The Scholarship’s founder and owner of Vancouver’s Hawksworth Restaurant, Nightingale and Bel Café, Chef David Hawksworth will be joined by leading chefs from across the country. Past judges have included Chef Anthony Walsh of Oliver & Bonacini Group, Chef Connie de Sousa of Charcut Roast House, Chef Derek Dammann of Maison Publique, Chef Lee Cooper of L’Abattoir, Chef Marc–André Royal of La Bête à Pain, Chef Mark McEwan of The McEwan Group, Chef Michael Noble of NOtaBLE and The Nash and Chef Scott Jaeger of The Pear Tree. The nationwide search begins on May 5 in Calgary, quickly followed by the Vancouver Heat on May 11. The competition moves eastward with the Montreal heat on May 24 and finishing in Toronto on May 26. 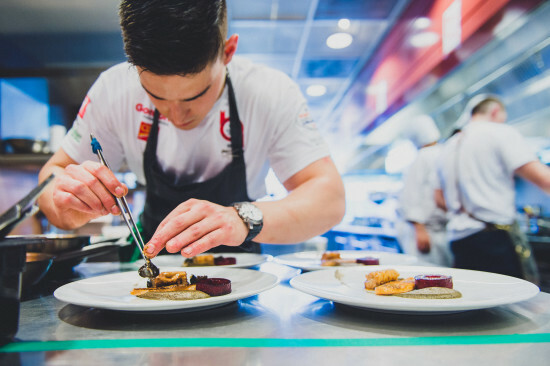 Following a summer to finesse their skills and build their excitement, the Final competition will be held in October, when one deserving chef will take home the grand prize and the bragging rights of being Canada’s top young chef. Deadline for applications is Monday April 2, 2018.